I’m ok with heights unless I’m on a cliff top and near the edge. I would be so excited to be on that bridge, Susan, you might never get me off. 🙂 🙂 Many thanks for sharing. There is- that’s so true. 🙂 🙂 I’ve driven across it a couple of times. Next time I shou;ld get out and walk. What a great experience! I think I would choose the easy path to the low tunnel – that sounds claustrophobic as well as being steep. I’ll be in San Francisco next week. Maybe I’ll get to walk in your footsteps. I hope you do! If you have time to add to your plans: I thought the botanical gardens were a great deal ($14 for two of us – I think there was a senior discount involved) And, if you are near the Cow Hollow/Marina neighborhood, Lucca’s Deli is wonderful and HomePlate Cafe has great breakfasts. Hope you have a wonderful time. 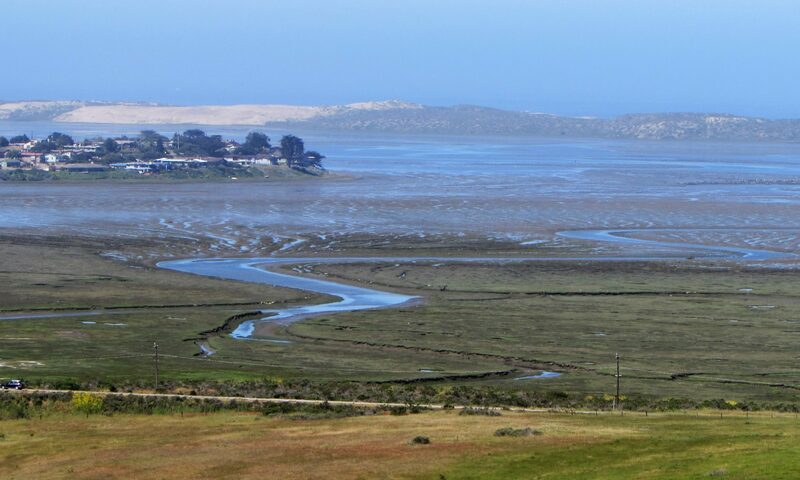 And if you head south to Morro Bay, let me know! We’ll actually be staying in Mountain View. Delightful walk, as usual! Many thanks. Thanks for walking along, Hugh. K-O: Revisiting these fabulous places in different ways is always fun, yes?